Welcome to Fast Gallery Mosaic. 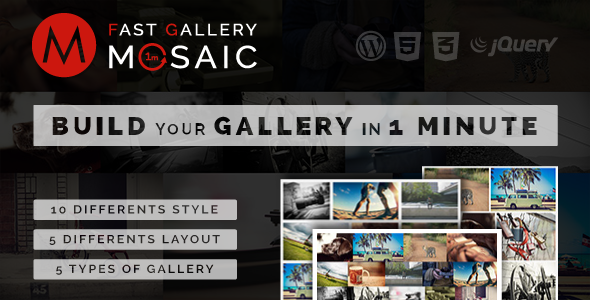 With this awesome plugin you can build your gallery in 1 minute. You have available 5 types of gallery (Prettyphoto, Photobox, Magnificer Popup, LightGallery, Custom URL) using mosaic layout and more features.